Whether it’s mental health services, assistance getting disability benefits, educational or employment support, too many veterans have to put up with excessive response delays from the VA.
That’s why I am working with civic and community leaders to cut down wait times so veterans can get the benefits they’ve earned. Ohio’s County Veterans Service Commissions and Veterans Service Organizations are critical to getting veterans into the VA. They provide invaluable community service – and help veterans navigate the VA. And, in the process, these vital organizations provide veterans, their families, and the communities they support millions of dollars of benefits – benefits they would not have had without help. 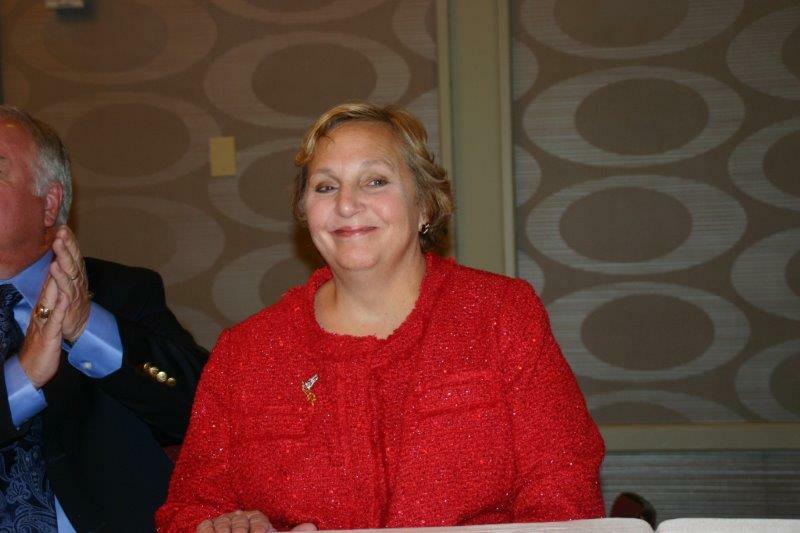 Recently, I sponsored the Veterans Services Outreach Act. This legislation would require the VA to notify veterans filing electronically that they can receive help and important time-saving information from VA-approved organizations tasked with assisting veterans. I’m also working to pass the Claims Processing Improvement Act of 2013. This legislation would hold the VA accountable to veterans by reporting on both its projected monthly goals and actual production. 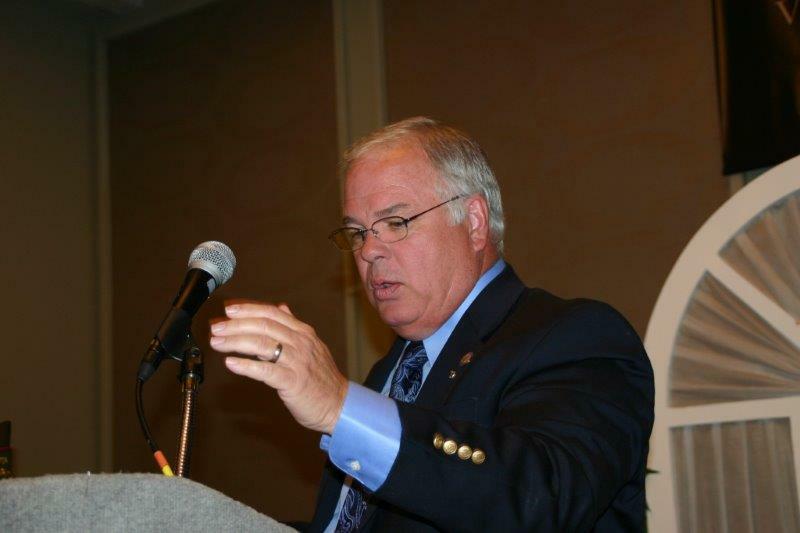 We need to know if the VA is working on eliminating the backlog or just passing the buck. This bill would also establish a task force to hire and train people to process claims and develop new tactics to eliminate the backlog. 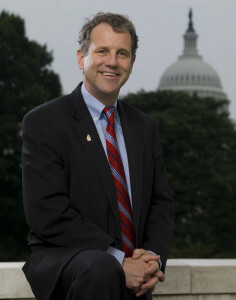 The OVFCC is proud to count Senator Brown as an ally of veterans and fraternal organizations, and we commend him in his efforts to improve the quality of veterans lives on a national stage! The Ohio Veterans and Fraternals Charitable Coalition is proud to support many national, state-wide and local charities. In the 18+ months since the OVFCC Electronic Raffle Program began, over $4.7 million has been raised in supporting these charities. The members of the OVFCC support a number of charities in over 40 Ohio counties, including the Boy Scouts of America, The Vietnam Veterans Memorial Fund, the Honor Flight Network, the American Cancer Society, the National and Ohio Special Olympics, the Salvation Army and many more. All together, OVFCC members support over 400 charities, and that number will only continue to rise. The OVFCC Electronic Raffle Program is a successful, fun way for OVFCC members, to not only support their posts, but also the local and national charities that are the lifeblood of veterans and fraternal organizations. The list of supported charities is available by clicking on the link below. 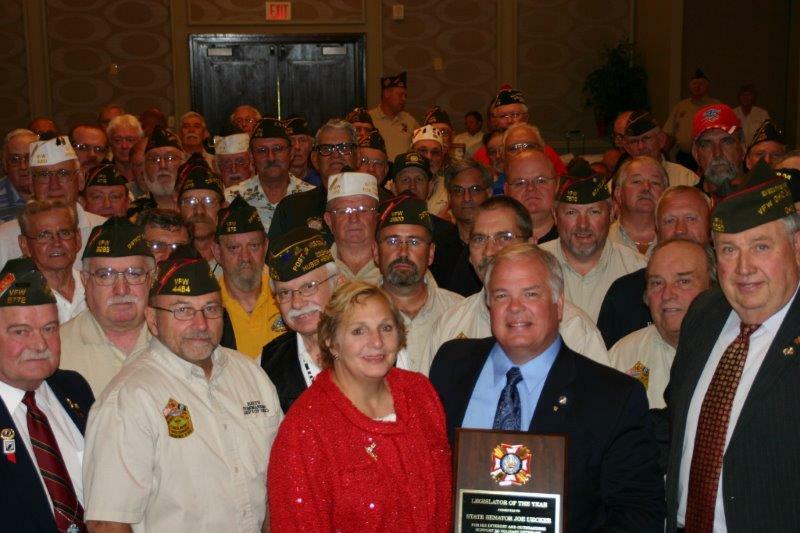 The Ohio Veterans and Fraternals Charitable Coalition is a representative organization with members who are appointed by Ohio’s VFW, American Legion, AMVETS, Moose, Elks, Eagles and the Ohio Council of Veterans, Fraternals and Service Organizations, all of which are charitable organizations under Ohio law. The coalition’s membership and their families exceed 2 million Ohioans, and our mission is to help educate the public and the legislature about issues affecting our member organizations that support veterans and other charitable community programs. 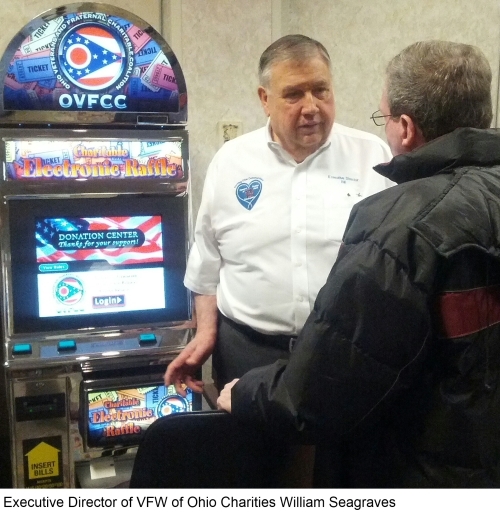 For the past two years, the OVFCC has sponsored a video-raffle program to help clubs and posts raise funds from charitable gaming. Unlike for-profit gambling, all transactions at participating posts and lodges are monitored in real time by a central server and this central server includes a report-management system that is entirely transparent and can be accessed independently, and at any time, by regulators, law enforcement and the participating charities. All of the profits from the OVFCC’s raffle program go to charitable organizations, with half going directly to 501(c)3 charities as required by Ohio law. To date, the OVFCC’s program has raised $4.6 million for more than 500 Ohio charities, including Boy Scout Troop 69 in Celina, the Make-a-Wish Foundation in Barberton and the Ronald McDonald House in Hamilton. This program also has allowed dozens of fraternal lodges and veterans’ posts to keep their doors open, which is vitally important to the fabric and integrity of every small town in Ohio. More information on the OVFCC and a list of charities who have received donations is available at www.ovfcc.org. We have met numerous times with Ohio Attorney General Mike DeWine and his staff to seek guidance and advice. I believe that we are all in agreement that the current law is unclear. We have worked closely with the attorney general’s staff to draft legislation that will clarify the law and adopt any necessary regulations. That draft is under consideration by legislators and other interested parties, thanks to the hard work and cooperation we have received from Senate and House leadership and their staffs. I am extremely grateful to DeWine and his staff for their recognition that the legislative process takes time, thus allowing our membership the opportunity to keep raising the necessary funds for charities to do their important work while the legislative process continues to move forward. 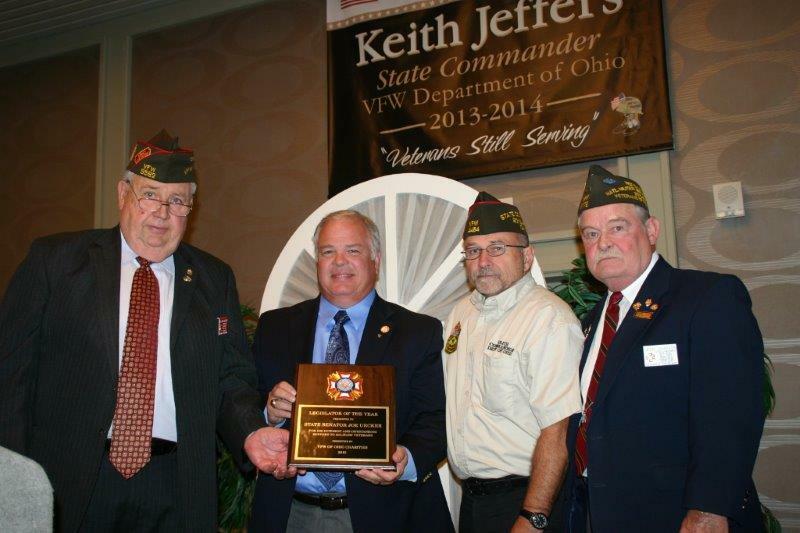 On Saturday, the Department of Ohio Veterans of Foreign Wars (VFW) presented Ohio Senator Joe Uecker (R–Miami Township) with its “Legislator of the Year” award at its annual Council Administration meeting in Columbus. Uecker recently sponsored an amendment to increase the veterans hall tax exemption cap from $10,000 to $36,000 in House Bill 59, the state’s biennial budget. Uecker’s two sons, daughter and a daughter-in-law are currently serving as officers in the U.S. Air Force. 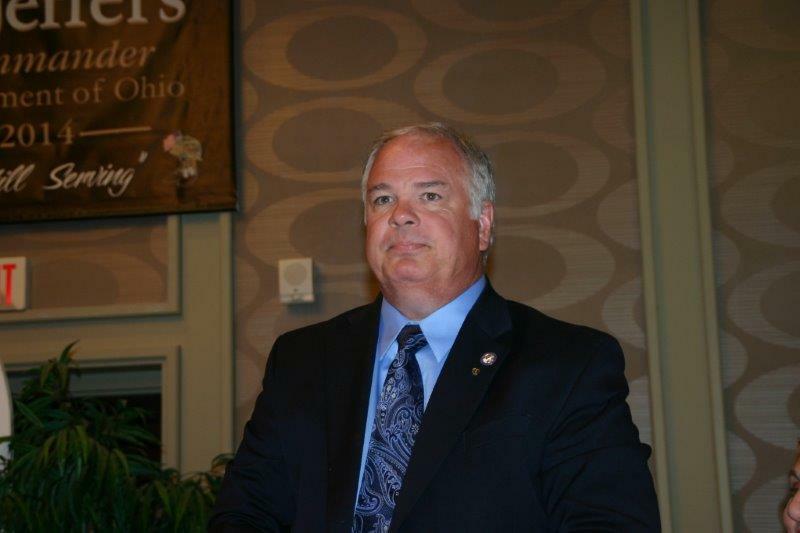 The Ohio Veterans and Fraternal Charitable Coalition (OVFCC) was formed in 2003 as an association to represent veterans and fraternal organizations on state government policy matters, particularly those issues relating to charitable fundraising. The OVFCC is the voice of more than 2.1 million members and their families who are active in more than 1,700 posts and clubs throughout the State of Ohio. 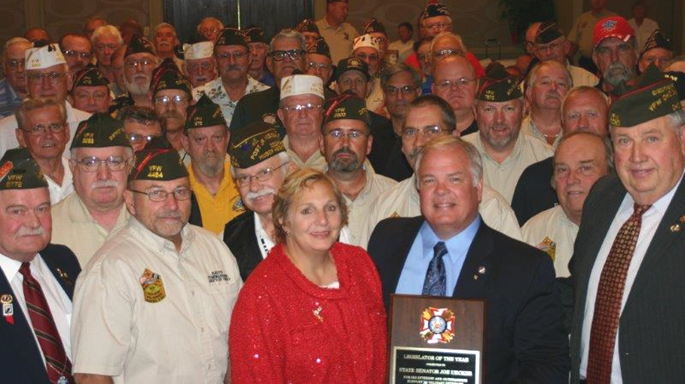 OVFCC member organizations include: VFW of Ohio Charities, Inc.; Department of Ohio VFW; American Legion Department of Ohio; AMVETS Department of Ohio; Fraternal Order of Eagles of Ohio; Ohio State Moose Association; Ohio Elks Association; Ohio Council of Fraternal Veterans and Service Organizations, Inc.
We at the OVFCC once again congratulate Senator Uecker on this honor, and thank him for his continued support of Veterans in the state of Ohio! 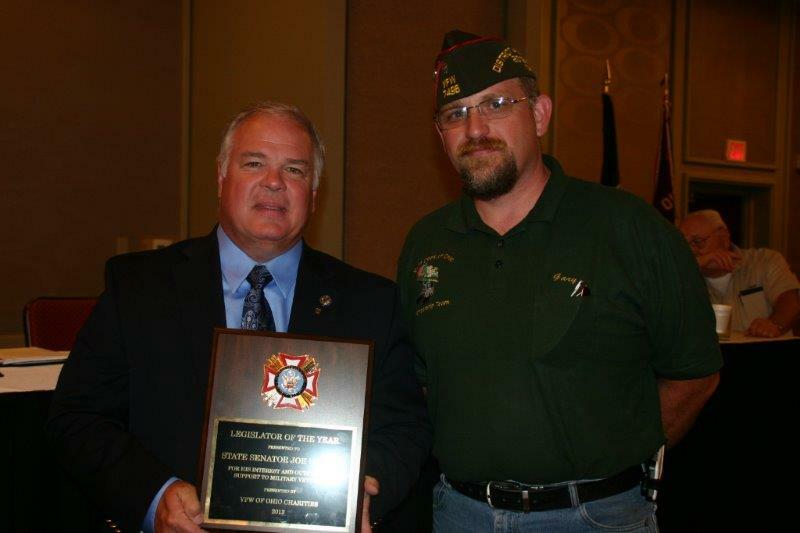 COLUMBUS, OH – On Saturday, August 10th the Department of Ohio VFW presented Ohio Senator Joe Uecker (R–Miami Township) with its “Legislator of the Year” award at its annual Council Administration meeting in Columbus. 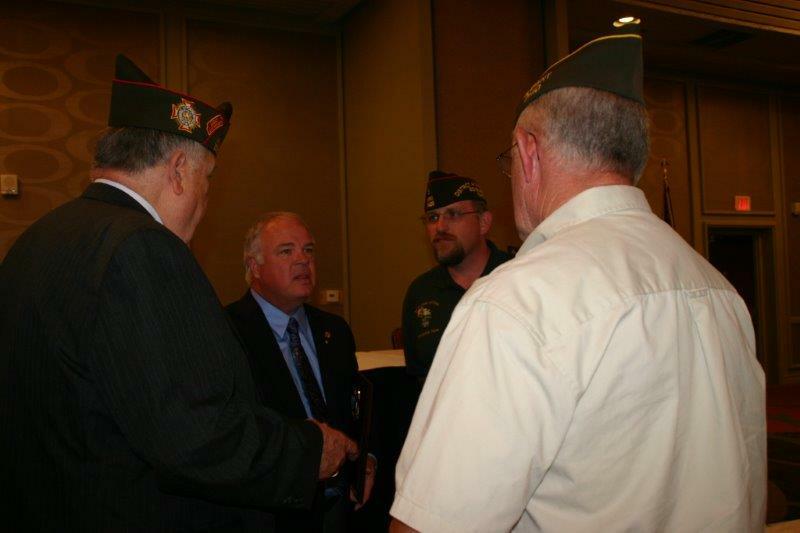 Senator Uecker recently sponsored an amendment to increase the veterans hall tax exemption cap from $10,000 to $36,000 in House Bill 59, the state’s biennial budget. Senator Uecker’s two sons, daughter and a daughter-in-law are currently serving as officers in the US Air Force. Click to view more pictures from the Council Administration Meeting. 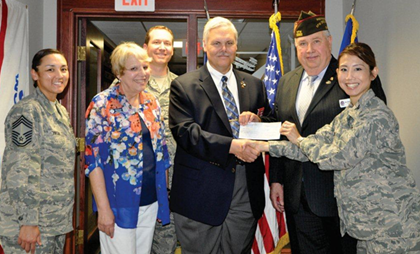 On July 15, 2013 VFW of Ohio Charities presented a $10,000 contribution to Wright Patterson Family Services, a private organization that provides assistance to all branches of service and their families. Presenting the check to Judy Pyron, WPAFB Family Services Volunteer Coordinator was Mr. Bill Seagraves, Executive Director for VFWOC, and Mr. Dan Faulkner, local VFWOC liaison to WPAFB. The WPAFB Family Services mission is to aid all military members and their families during times of financial crisis.